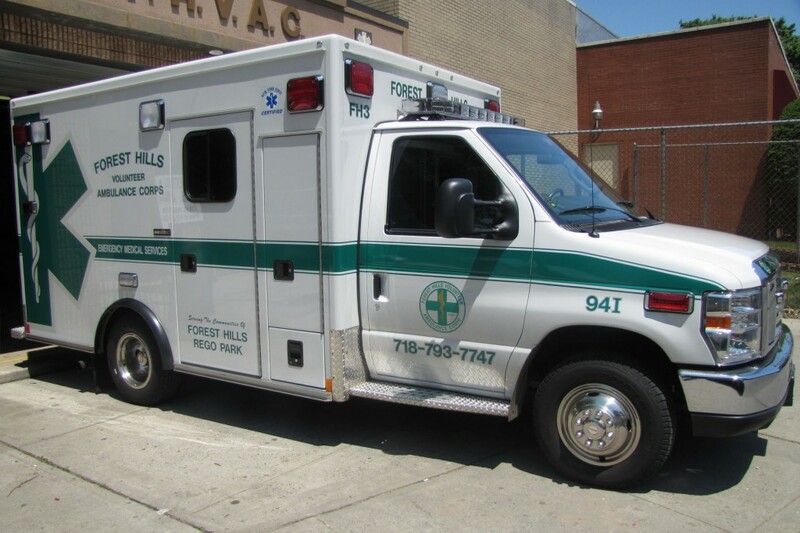 Type II ambulances are built using a van type chassis. The only major modification to the vehicle is that the roof is raised. Type II ambulances are mostly used by hospitals, Ministry of Health and when the ambulance is used to transport patients that only require Basic Life Support features. 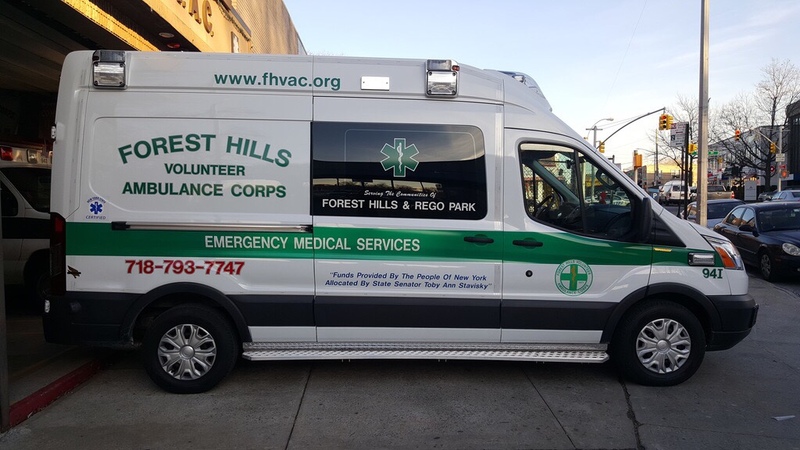 FH3 is a 2015 Ford Transit Van made by AEV Ambulances. It is the first of this model to be used as an ambulance. It was purchased through a grant obtained by NYS Senator Toby Ann Stavisky. The ambulance is equipped with a Stryker Power Cot. 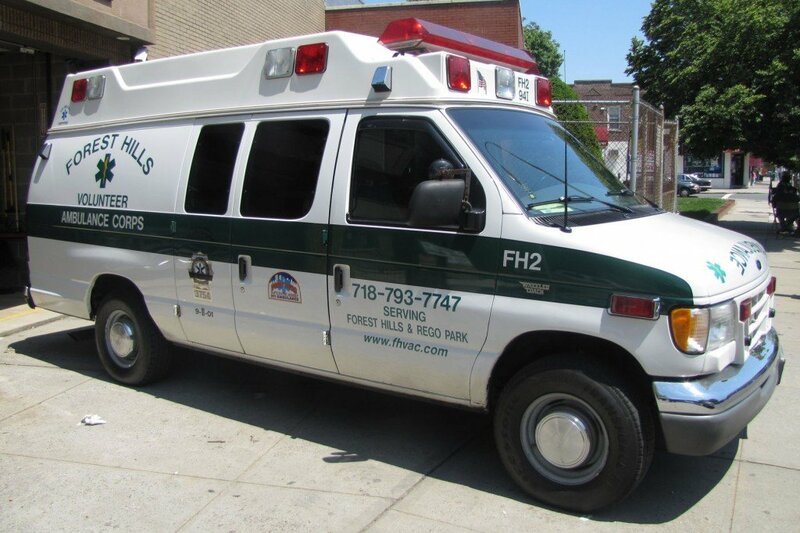 An ambulance emergency response vehicle, (also known by a variety of local names including “fly-car”), is an emergency medical service (EMS) vehicle that responds to emergencies, but is not designed to transport a patient. 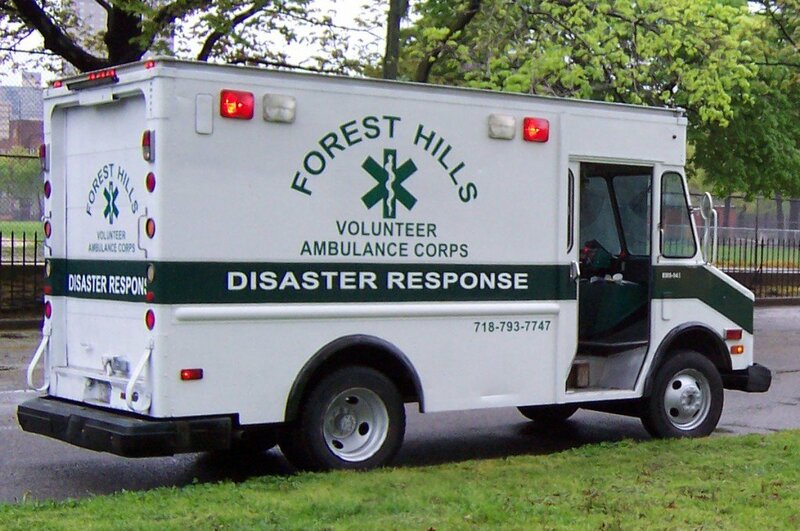 Non-transporting response vehicles are used for a variety of reasons, including economic, supervisory, and logistical. Type III ambulances have a square patient compartment that is mounted onto a cut-a-way van chassis. Type III ambulances are mostly used at airports, chemical plants, oil refineries and when the ambulance has to be equipped with the medical equipment for Advance Life Support. This Type III ambulance is made by Wheeled Coach (the patient module). It responded to the World Trade Center incident on September 11, 2001 and was destroyed when the towers collapsed. The designation FH1 was then retired. Please take a minute to visit our 9/11 Memorial page. This was the first of it’s kind for the FHVAC. The vehicle was equipped with all the tools necessary to respond to a bio / chemical incident or other disaster. 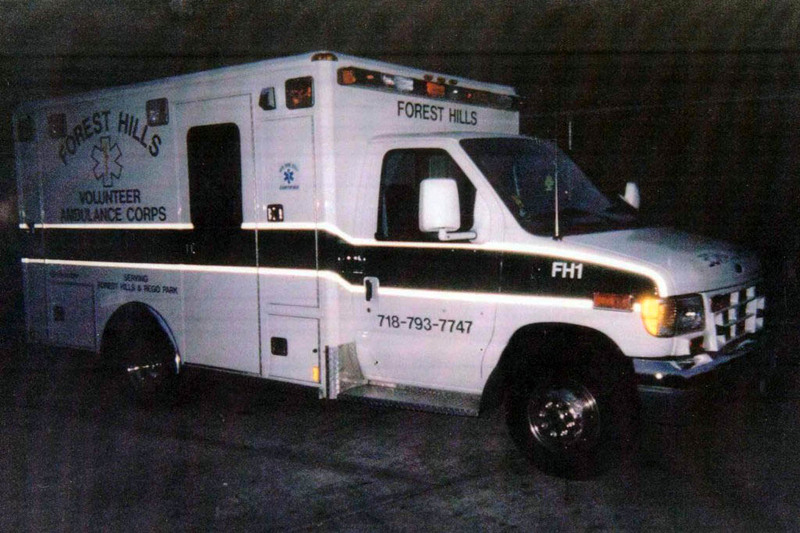 This is the second ambulance owned by the FHVAC. It is a Type I modular ambulance. It was one of the first of its type in New York City. 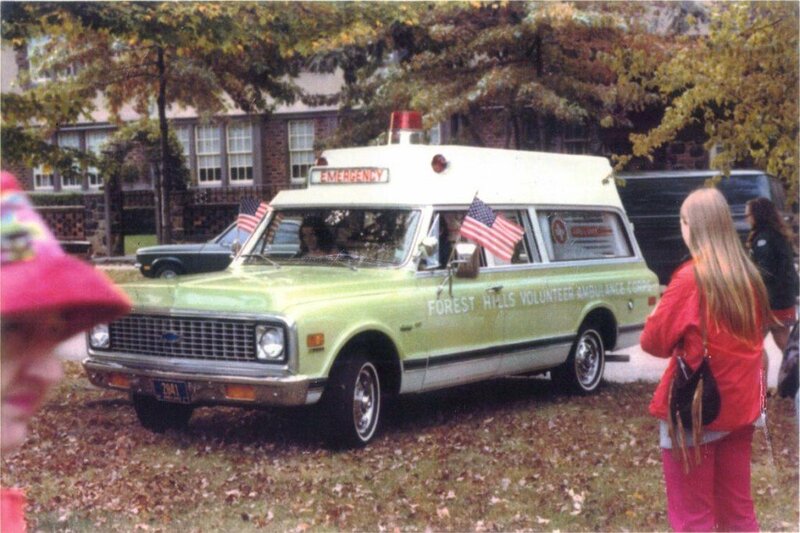 It is known today as the “Ghostbuster Ambulance”. 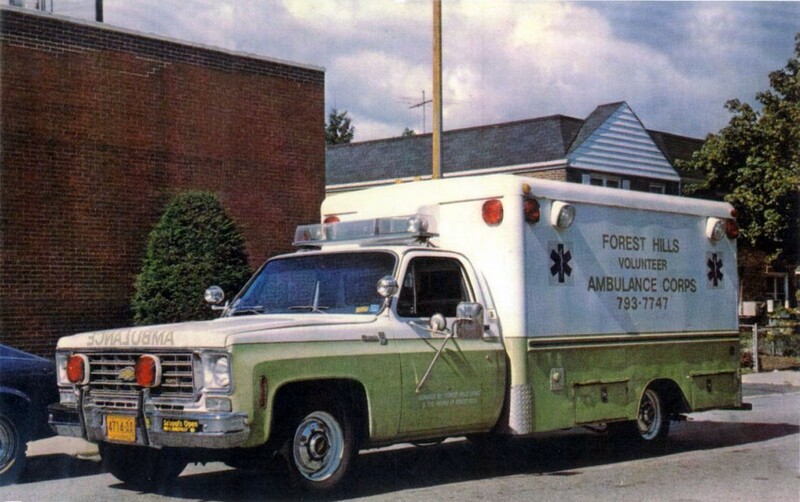 This was the first ambulance of the FHVAC. 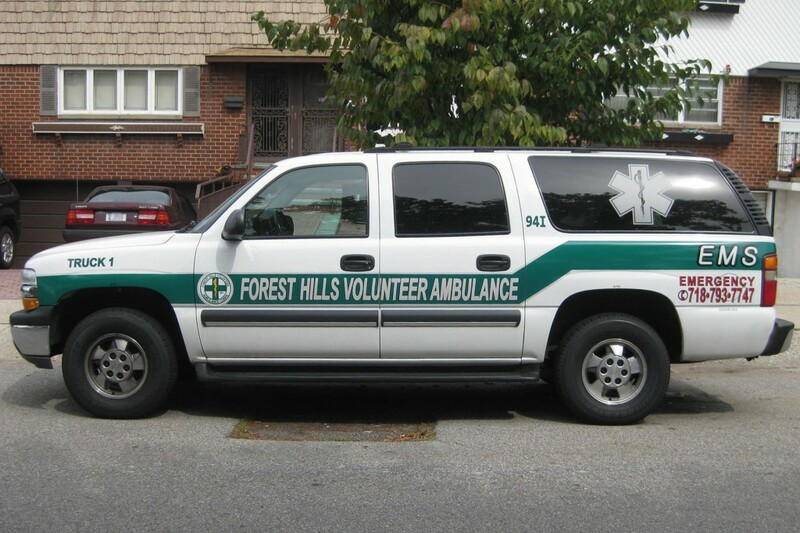 This is the dedication of the ambulance in Flagpole Park located inside Forest Hills Gardens.